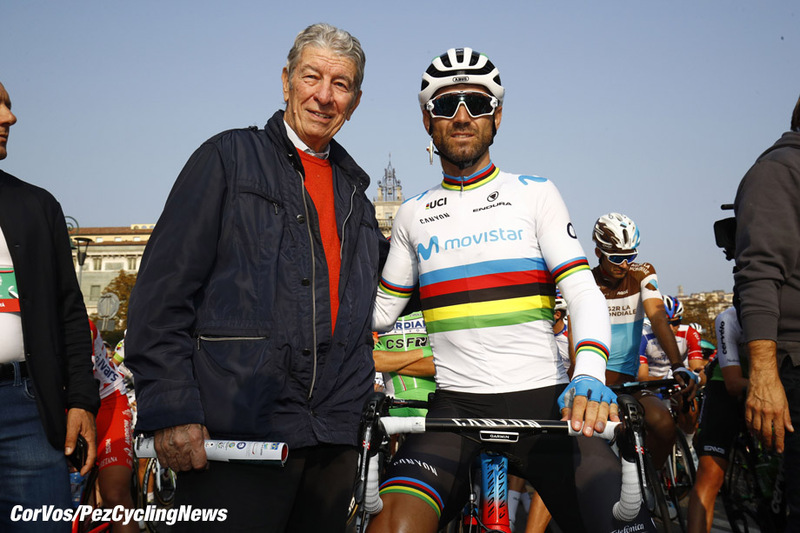 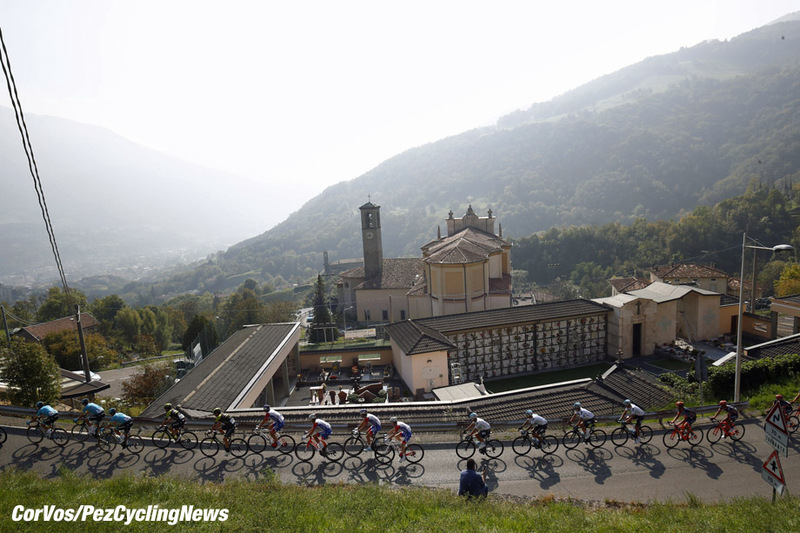 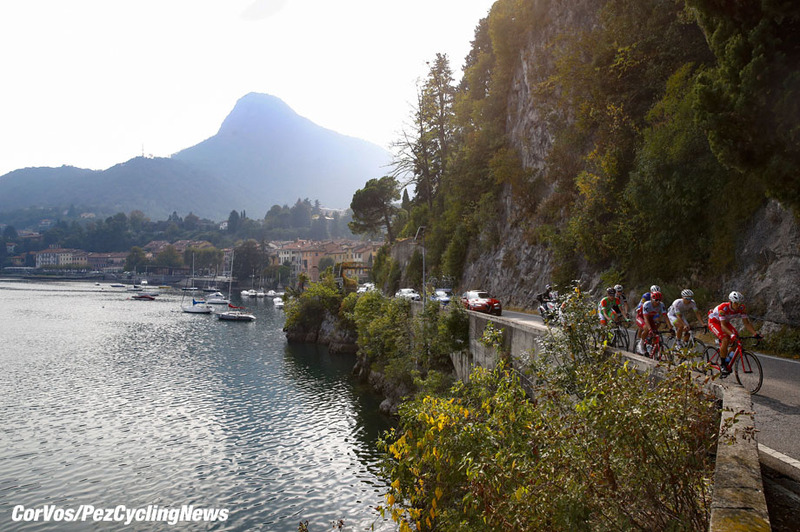 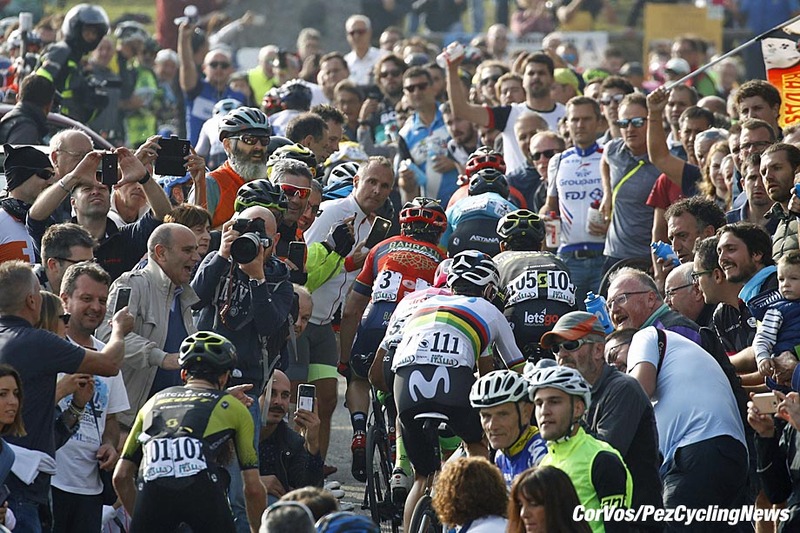 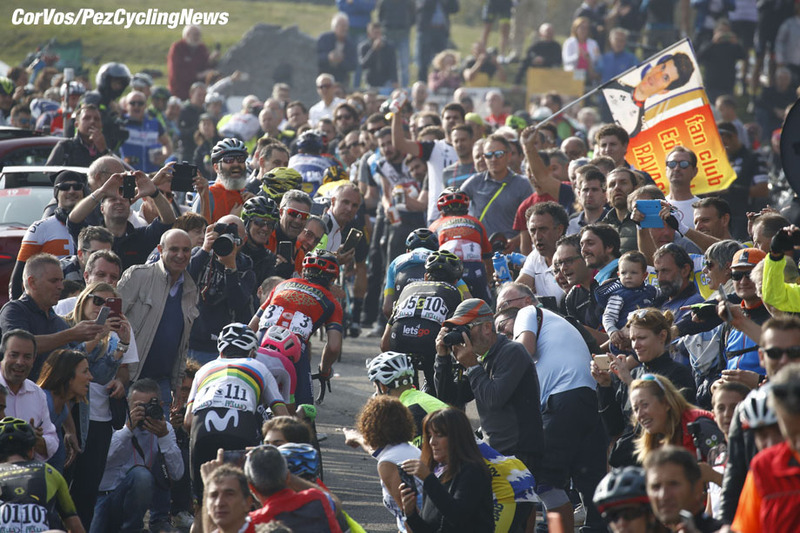 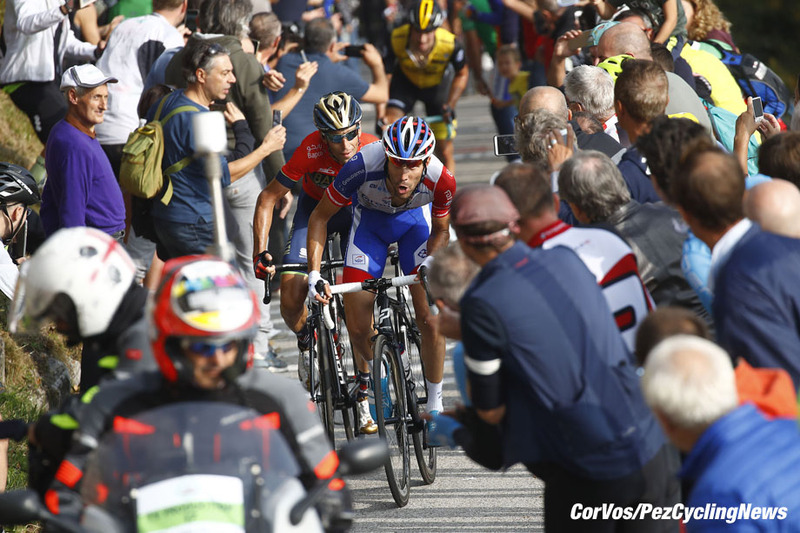 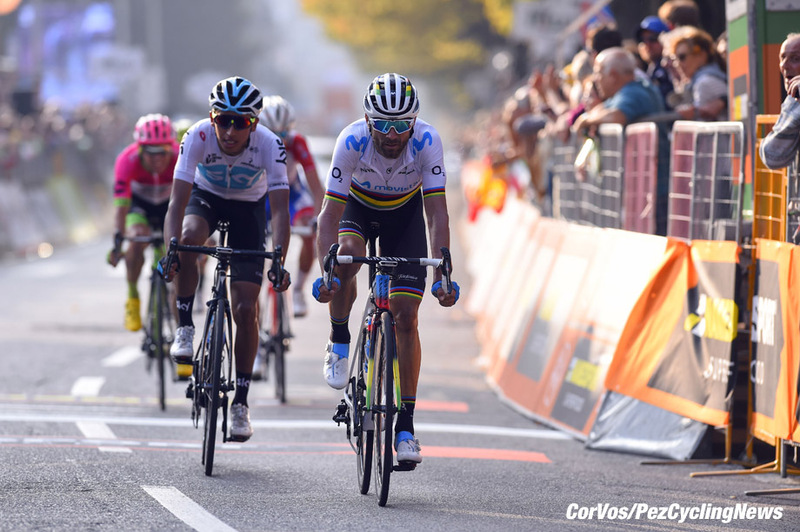 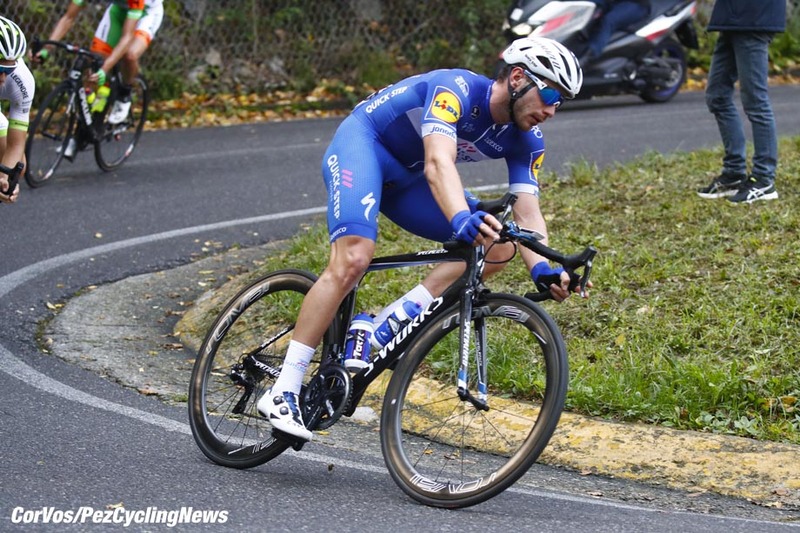 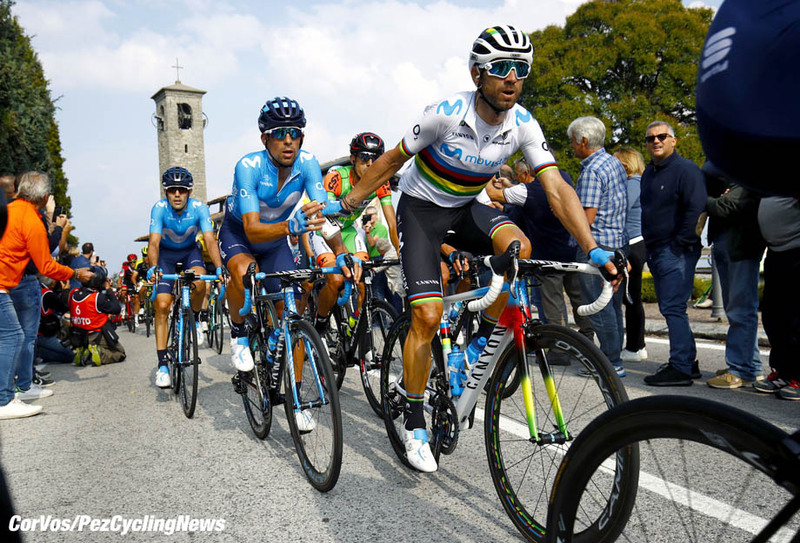 PezCycling News - What's Cool In Road Cycling : IL LOMBARDIA’18: Falling Leaves Photo Gallery! 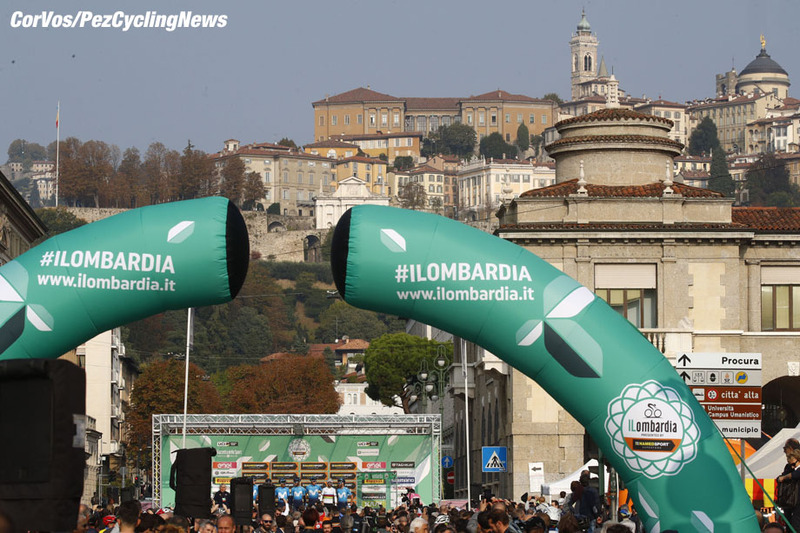 IL LOMBARDIA’18: Falling Leaves Photo Gallery! 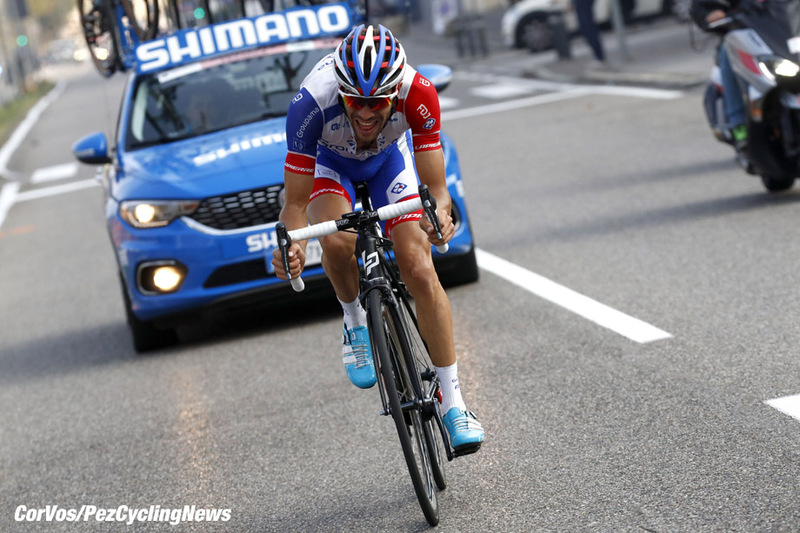 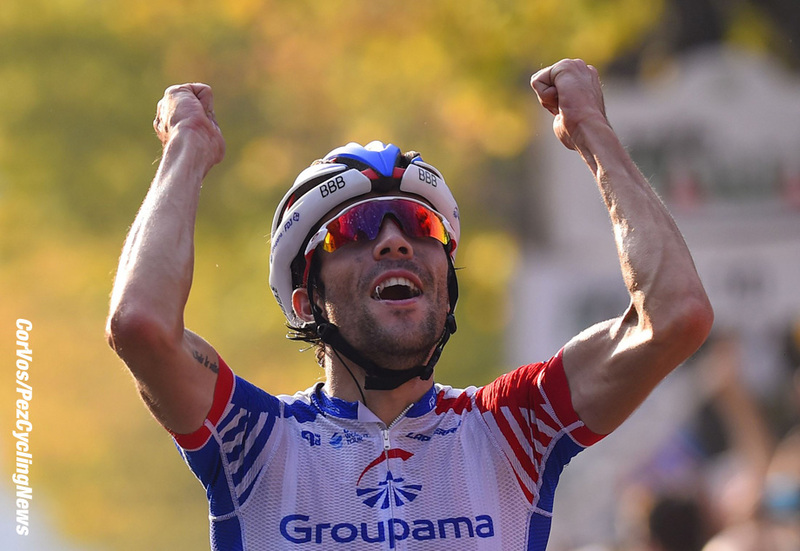 Il Lombardia Photo Gallery: The 'Race of the Falling Leaves' brought the curtains down on the 2018 season in fine style with Thibaut Pinot (Groupama-FDJ) giving France a well needed Monument win. 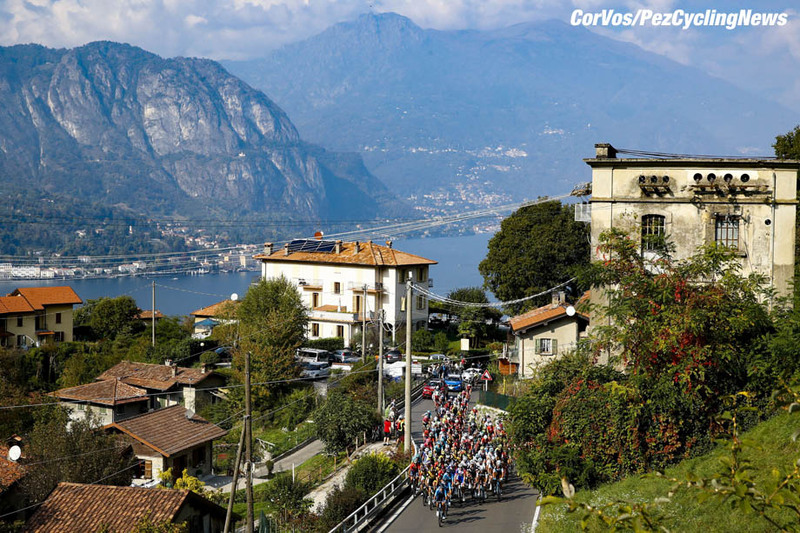 The finalé was deserved of the 'Classic' label with attacks aplenty on the steep climbs around Como. 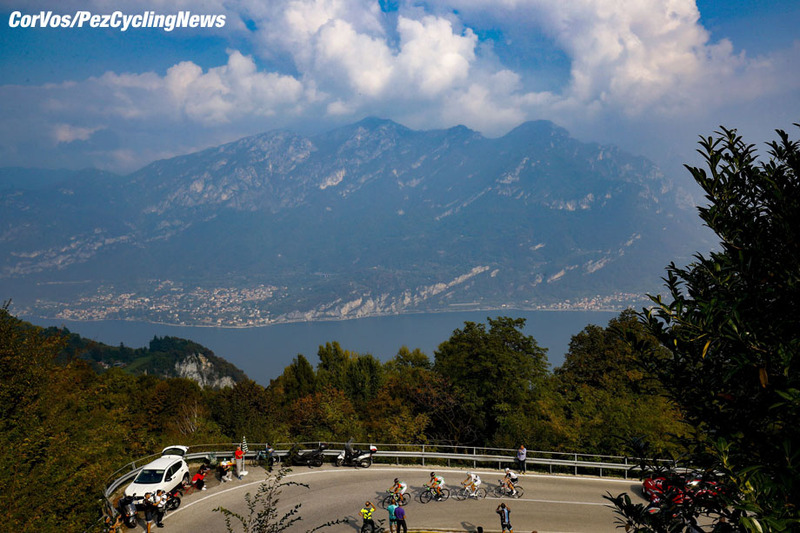 We've put together the best images from Il Lombardia 2018 photo gallery by Cor Vos and his team. 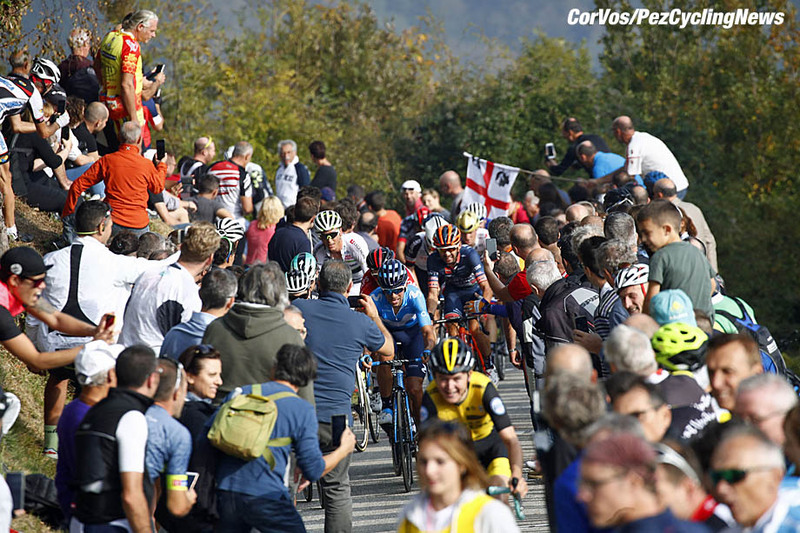 You can see the PEZ Il Lombardia Race Report HERE and rider quotes and race video in EUROTRASH Monday HERE. 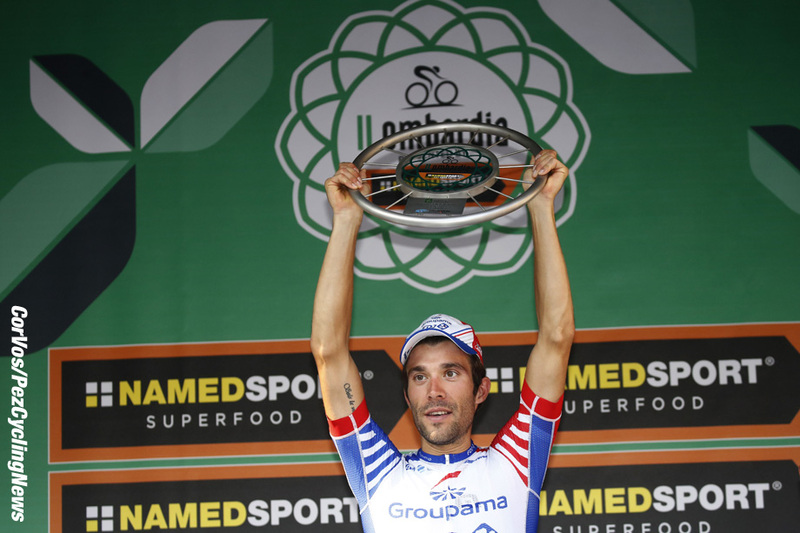 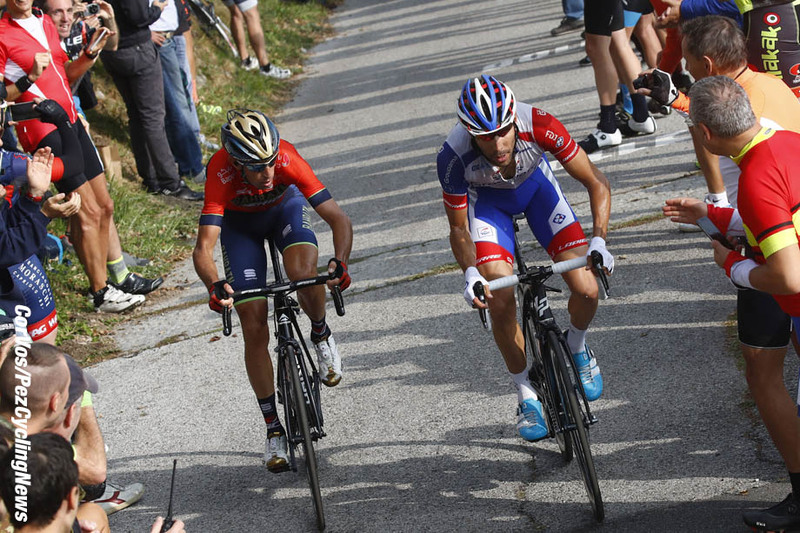 Thibaut Pinot (Groupama-FDJ) took the race of his dreams in Como on Saturday, dropping Vincenzo Nibali (Bahrain-Merida) for the solo win. 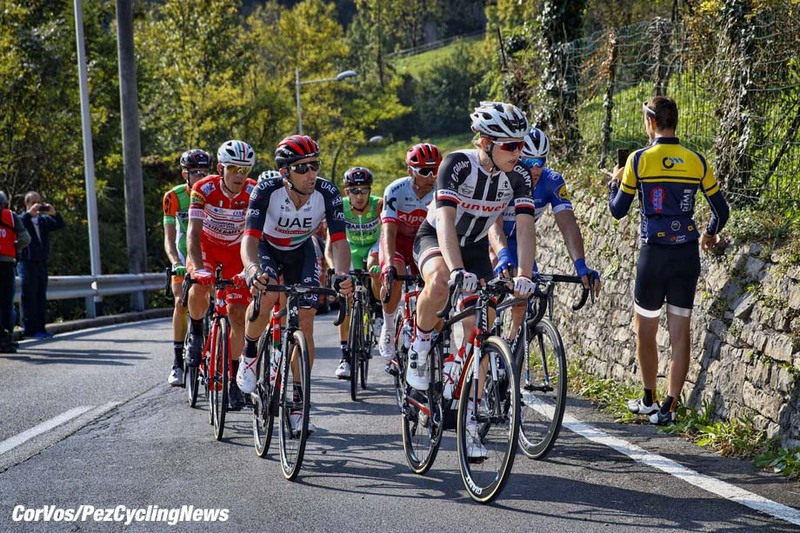 Belgium’s Dylan Teuns (BMC) brought in the chasers in 3rd place. 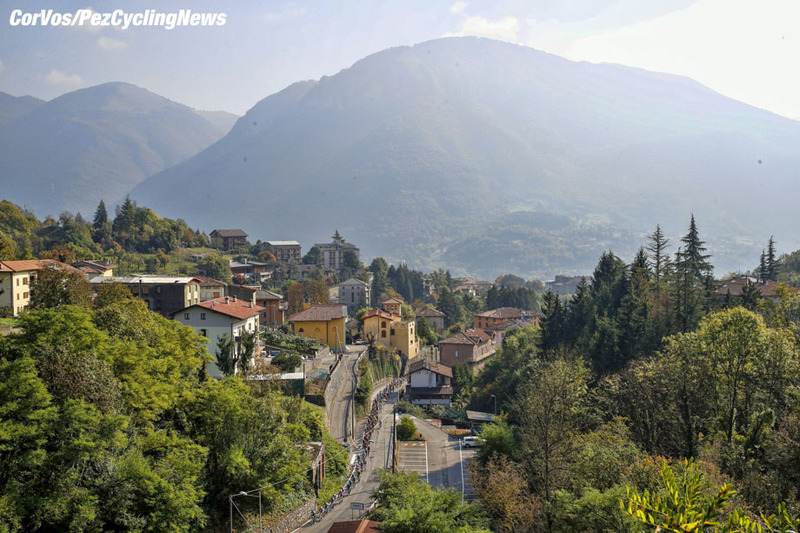 LottoNl-Jumbo's Primož Roglic started the action on the climb of the Muro di Sormano and was joined by Pinot, Nibali and Egan Bernal (Sky). 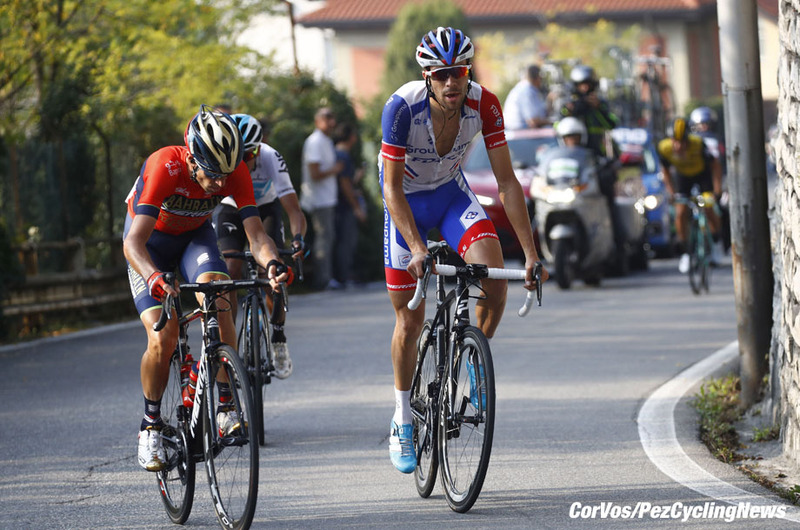 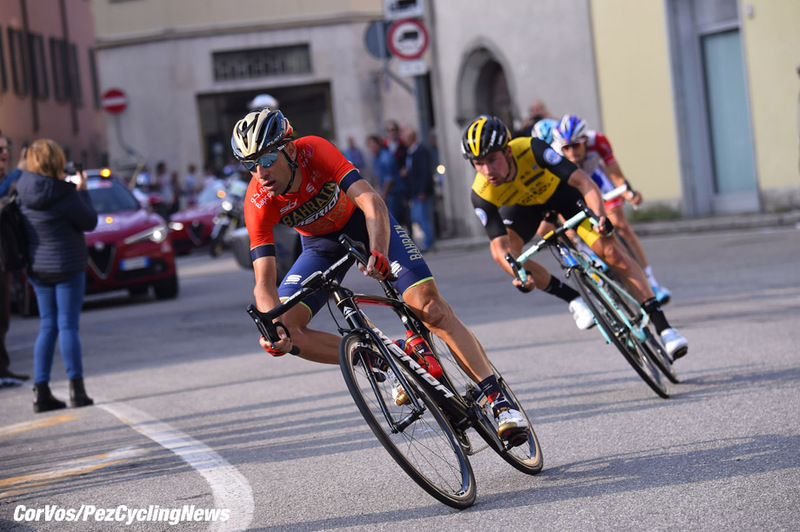 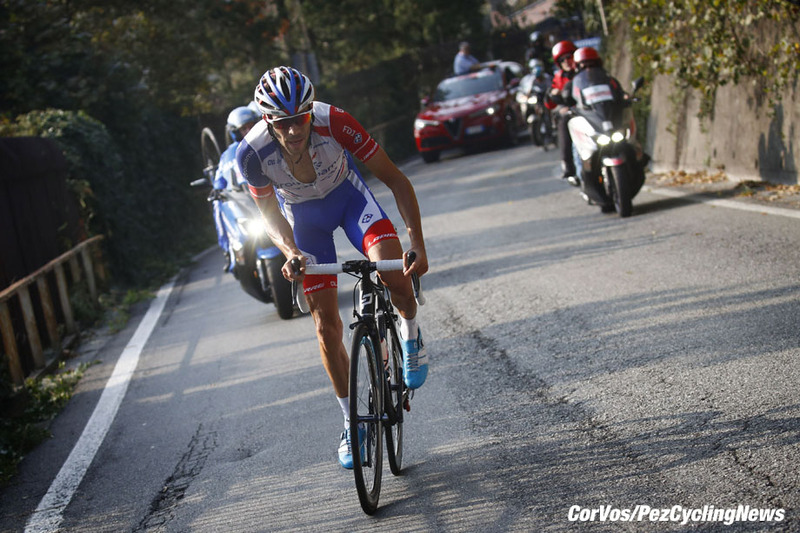 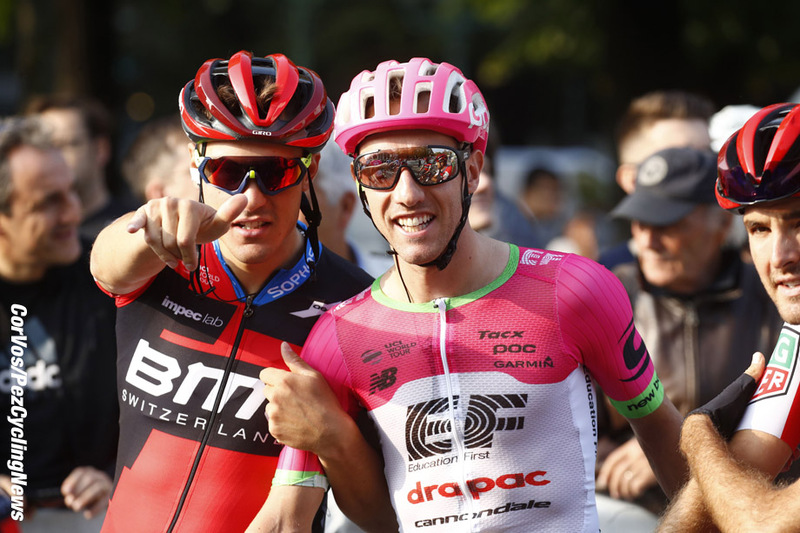 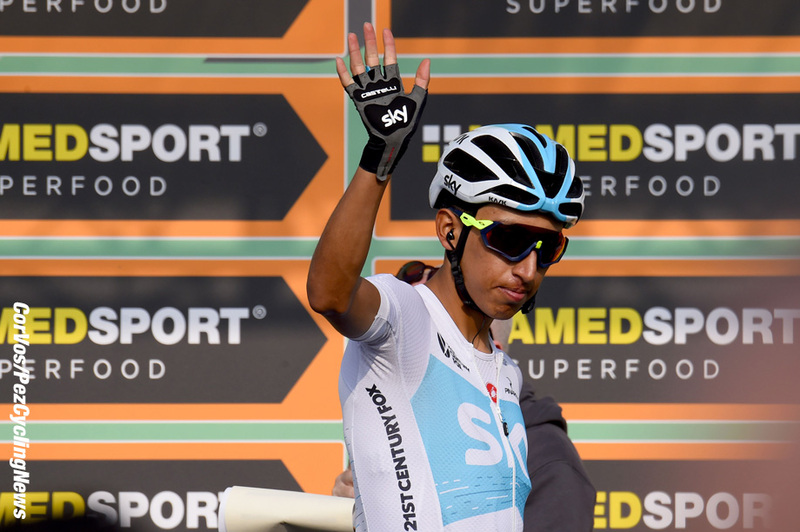 Roglič and Bernal cracked on the final climb of Civiglio and Pinot attacked Nibali to finish solo in Como. 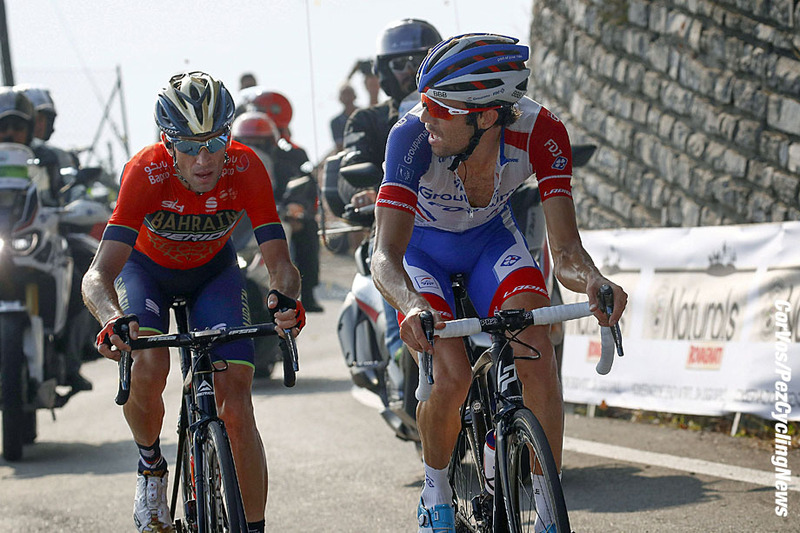 Could Pinot see in the eyes of Nibali the win was his? 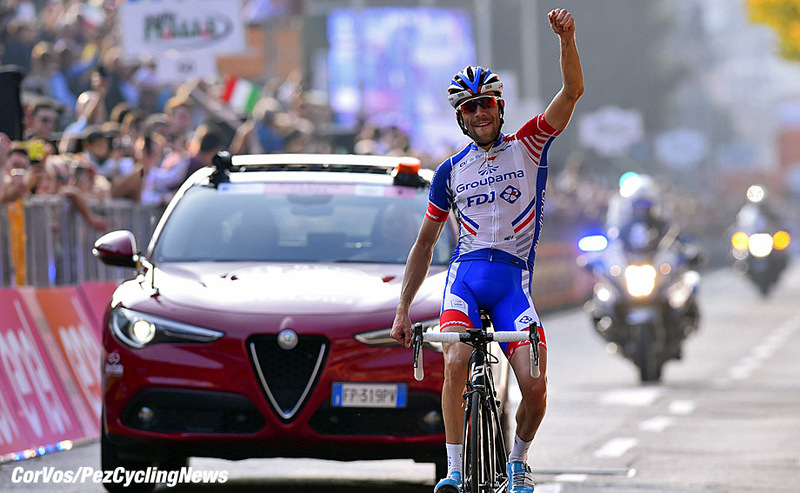 Pinot: "Clearly, this is the most beautiful win of my career. 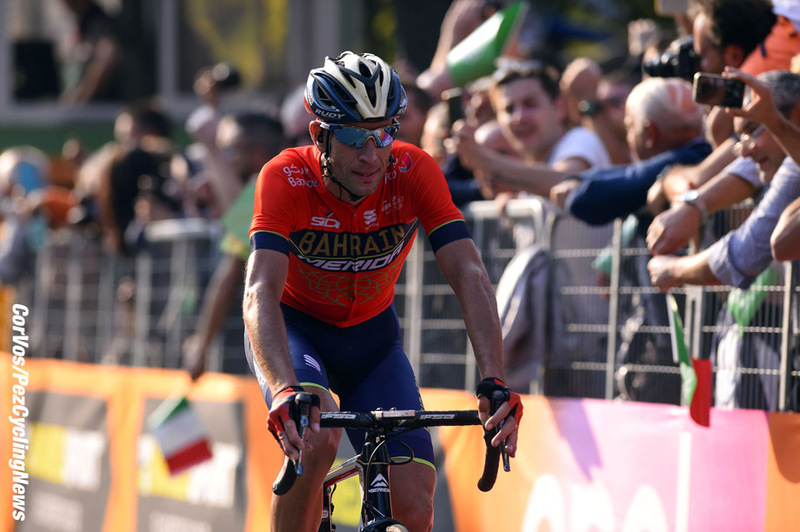 Had I been able to choose one race to win, it would have been this one"
Nibali: "Among the Monuments, Il Lombardia it's my favorite race. 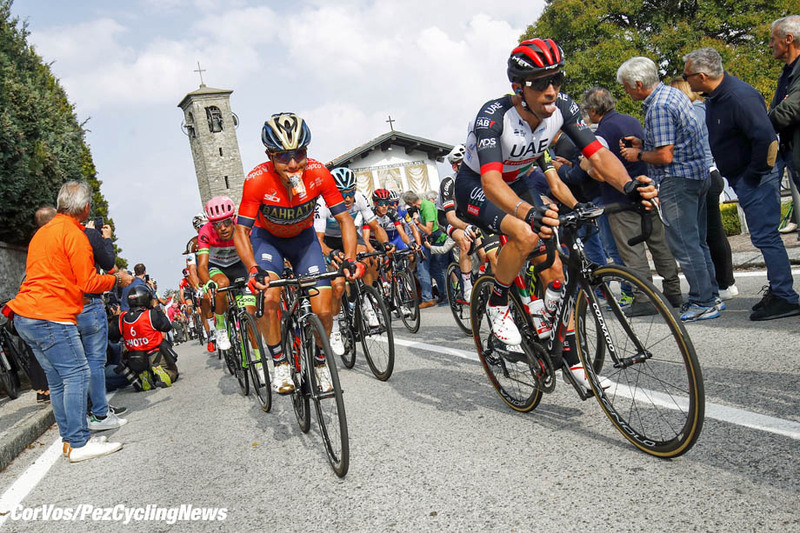 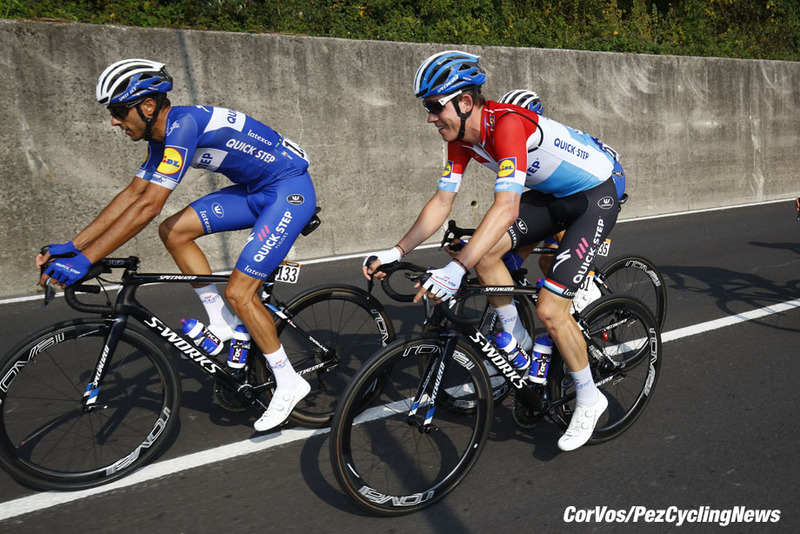 After the crash at the Tour, today's second place represents my sporting redemption"
3rd place for Dylan Teuns (BMC): "I had really good legs today and in the end, I couldn't gamble for the win because Pinot was really strong on the Sormano and we never saw him again"
25. 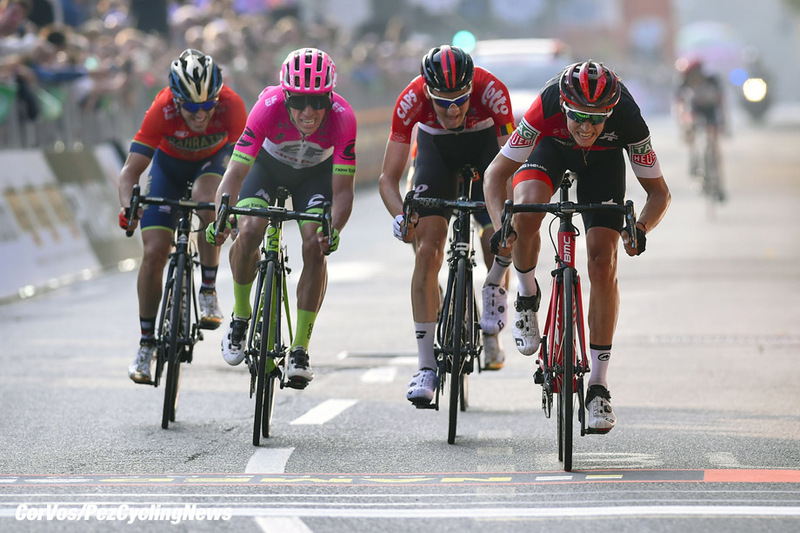 Tiesj Benoot (Bel) Lotto Soudal.